This time, 8Fernancraft created a vehicle that is not quite common in terms of public roads. Go-kart is a small but fast enough and maneuverable open-wheel car representing an open driver's seat without those elements that exist in conventional cars. Just take a look at the screenshots and evaluate the overall appearance of this beast. 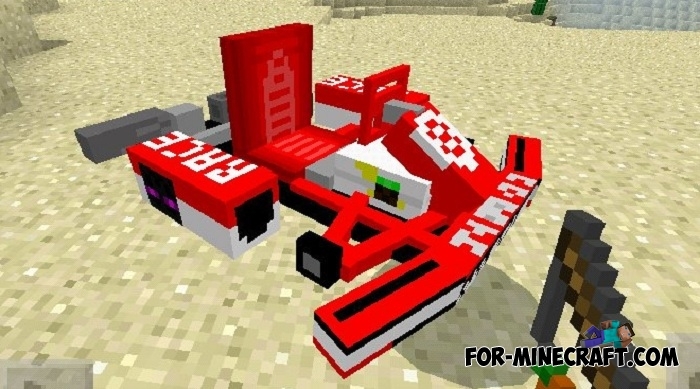 How to get the kart and drive it? 1. For surviving players: you need to find rabbits since they are the basic mobs for the karts. If you play creative then just drop the rabbit spawn egg and go to your kart. 2.Before you sit down in the driver's seat, you definitely need the ignition key (carrot on a stick). 3. Take it, approach the go-kart closer until the button appears and proceed to the ride. 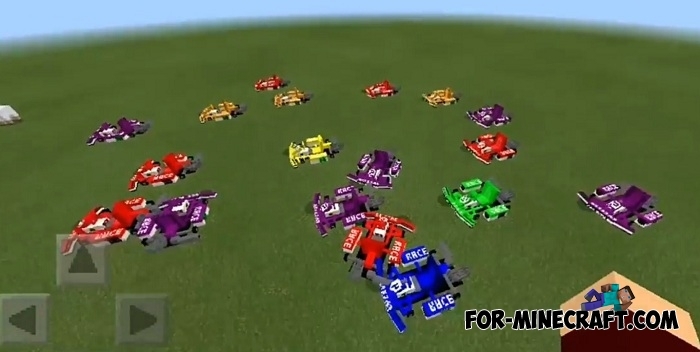 For every taste there are karts of different colors for six players, you can also organize team tournaments, speed or survival race. But anyway, it's better to drive a kart than walk and slowly move from one point to another. How to install the Go-Karts addon?